There’s nothing like raising your goblet and cheering “Huzzah!” in celebration of the Renaissance, one of history’s most popular eras. If you don’t happen to have a Renaissance festival happening in your hamlet, throwing your own Renaissance-themed party is the next best thing. The following tips will help make your party one for the history books. Set your party’s theme by using calligraphy (or a calligraphy font) on parchment paper. Roll the invitations into scrolls and seal with sealing wax. Hand deliver or use small mailing tubes to send. It’s not a Renaissance party without the right clothing. 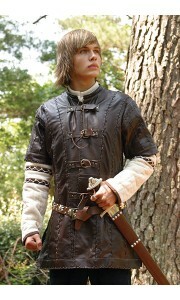 You can get great deals on authentic Renaissance faire clothing online. Encourage your guests to dress the part as well. Even if you don’t have full regalia, one or two clothing pieces can be enough to create an appropriate look. You don’t have to spend a king’s ransom. A few select touches are enough to create a Renaissance feel. For instance, put up wooden or parchment signs with calligraphy that say, “Pub,” or “Dining Hall,” and “Privy,” to direct guests to the appropriate rooms and use only candlelight. Hang tapestries or large swatches of colorful brocade fabrics. If you’re going to party like it’s 1599 you’re going to need music to match. Renaissance music covers a couple of hundred years so you have plenty of latitude if you’re striving for authenticity. 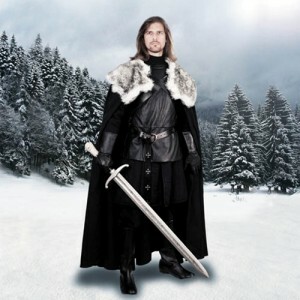 However, instrumental Celtic music will also work fine or simply put on the “Game of Thrones” soundtrack. Keep in mind that food was simple and hearty — and silverware wasn’t really a thing. Set out plenty of finger foods such as turkey legs, cheese slices, and bread, and keep the ale, wine, and cider flowing. For a fun touch, consider party favors such as miniature wooden treasure chests filled with chocolate coins or bejeweled plastic goblets guests can drink from and take home. 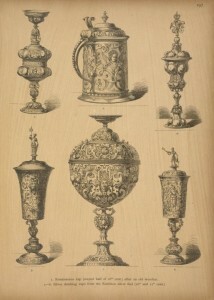 As we continue our series about non-alcoholic Renaissance drinks, we’re going to talk about some of the more ornate drinks. These drinks might be a little harder to replicate today, but with a little imagination and ingenuity, you can probably come up with a delicious recipe using today’s ingredients. When you are wearing authentic Renaissance period clothes, you will certainly complete the look with beverage that comes as close to what people actually drank back then. If you come up with any great recipes, or if you find any more Renaissance drinks, let us know in the comments section. Who knows – maybe we’ll have a Part 3, featuring your ideas! Sekanjabin is a very exotic-sounding drink and it was made using a variety of sweet vinegar and sugar. We’ve never tried it, and although vinegar and sugar does not sound all that appetizing, it was quite popular during the Renaissance. Honey has been a wonderful beverage ingredient for so many years, it seems! During the Renaissance, there was no shortage of honey in drinks. One of the most popular drinks to use honey was called Clarea of Water. This drink was a mixture of water, honey, and various types of spices, depending on what was local. The ingredients were mixed together and boiled. The drink would be cooled before it was served. Soak a number of petals in a pitcher of water holding twice as much water as petals for one night. Press, but not squeeze, the water from the petals and reuse them as needed. Mix into the water enough honey or sugar as to taste, and serve cold. 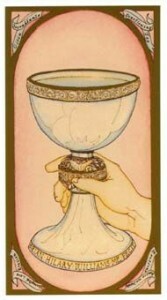 Visit any Renaissance Faire and you will see a huge assortment of delicious Renaissance fashion drinks. From mulled wine to mead, there are plenty of tasty drinks that are great representations of what people in the Renaissance era drank. But suppose you don’t drink alcoholic beverages? It may seem like all you hear about is drinks with alcohol, but there were plenty of non-alcoholic drinks consumed during the Renaissance – some of them are still available today! 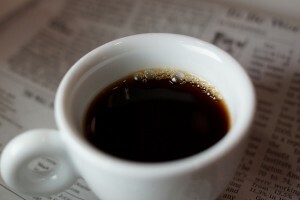 Here are some of the most popular non-alcoholic drinks from this great time period! While there may have been a strict class system during the Renaissance, one thing was for sure: people of all classes enjoyed milk! Milk was accessible to everyone, and it came from goats, cows, and mares. An interesting brew that can be replicated today was sage water. Sage water was made by soaking sage in water overnight. This brew was used to cleanse the palette during meals. We’ve all had a tasty Shirley Temple at some point. The grenadine-and-ginger ale combination is one of the best drinks around! Of course, people in the Renaissance era didn’t have Shirley Temples per se, but they had their own version of grenadine, called granatus. Granatus, like grenadine, was made using pomegranates and was most popular in Arabic countries. Our Favorite Renaissance Playwright, Shakespeare! Here at Pearson’s, it’s obvious we love everything about the Renaissance period – the fashion, the history, the art. We are also huge fans of Renaissance theatre. We’ve seen many versions of plays by the great English Renaissance playwrights like Christopher Marlow, Ben Jonson, and, of course, William Shakespeare. Shakespeare is arguably one of the world’s most well-known playwrights, and with good reason. His plays are generally considered some of the best examples of theatre ever. Despite the popularity of his work, his life’s story isn’t as ubiquitous. Rather than give you a full biography of his life, we pulled together some interesting facts about “The Bard” that you might not know! Though he wrote some plays while Elizabeth was queen, he is mainly considered a Jacobean writer. Astronomers must be fans of Shakespeare – most of the moons that orbit Uranus are named for characters in his plays! 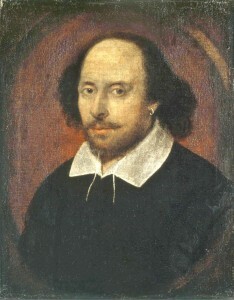 Even though he was incredibly prolific, Shakespeare did stop writing plays for a time and concentrated on writing sonnets. He only did this, however, because The Plague had caused many playhouses to shut down. If there are any Trekkies reading this, you will be pleased to learn that two of Shakespeare’s plays, Hamlet and Much Ado About Nothing, have been translated into the fictional language of Klingon. Last month, we highlighted some holiday food traditions of the medieval period. While we’ll probably never get used to some of the recipes in that medieval cookbook, we certainly had a fun time reading about them! This month, we’re going to look at another holiday: New Year’s! Did you know that Julius Caesar declared January 1st the start of the new year because the month is named after the Roman god Janus, who was said to look into both the future and past with his two faces? Here are some facts about how people in the medieval period celebrated New Year’s. The Council of Tours, a gathering of medieval Roman Catholic officials, abolished January 1st as the start of a new year in 567. It took Europe 561 years to agree that January 1st could be considered the start of the new year. The first nations to accept the date were Eastern European nations in 1362. Before January 1st was adopted, countries in medieval times observed New Year’s on different days. For example, some countries chose to celebrate on December 25th while others considered March 25tgh the start of the new year. England, in particular, had a tough time deciding when they wanted to celebrate the new year. Initially, they chose December 25th. Once William the Conqueror came into power, the date was changed to January 1st. Later, it was changed again to March 25th. It wasn’t until 1752 when January 1st became the final choice. At Pearson’s Renaissance Shoppe, we don’t just sell medieval costumes. We love learning about the medieval era in history, and we aren’t alone! We’re finding great articles online every day all about some of the quirkier aspects of life during the medieval period. Recently, we came across an interesting article from GIZMODO about the connection between modern logos and medieval bakers. According to Gizmodo, London in the 13th century came alive when pipes were installed to deliver clean water to the citizenry. As life became easier as a result of the clean water, businesses flourished. However, with booming businesses comes the business of swindlers. In order to protect the population of London from the shady practices of huckster bakeries, Henry III created a law that regulated food, called the Assize of Bread and Ale. This law regulated the size and weight of bread, flour purity, and pricing of said items. This law also protected the bakers themselves. Bad bakers could have easily raised the price of their bread out of proportion to grain prices. The result would have punished other bakers and lead to mass starvation. How did bakers let people and authorities know that their bread was up to snuff? Logos! A law was developed that required bakers to imprint their products with a unique symbol to make it easier to trace the bread to the baker. Hence, the start of logos! Have a Medieval Style Holiday! Now that the holidays are in full swing and you can’t seem to go anywhere without hearing Mariah Carey’s “All I Want for Christmas is You.” At Pearson’s Renaissance Shoppe, the holidays are really special to us. Not only do we get to be festive and celebrate with our friends and family, we also take some time to learn a little bit about medieval and Renaissance era holiday traditions. Today, we found some great information about what exactly people in the medieval era ate during this festive time. Did you know that people in medieval times actually celebrated twelve days of Christmas? That’s a lot of celebrating! Wealthy people and people of nobility were able to feast upon fresh meat and flavor them with cloves, nutmeg, cinnamon, and pepper from India and Indonesia. 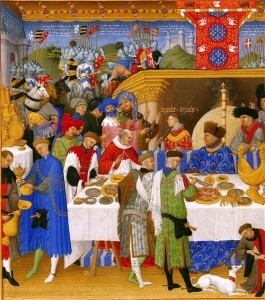 Wealthy people were also able to afford sugar, so sweets were plentiful for the upper class people in the medieval period during the holidays. Less fortunate people would still celebrate with food, but the food wouldn’t be as luxurious. Less expensive meat like sausage and bacon were eaten, and while sugar may not have been plentiful, poorer people still indulged in dried apples and honey. No matter how you celebrate the holiday this year, keep some medieval style in mind. Take a look at The Forme of Cury, a cookbook written around 1390. This will give you some inspiration and who knows – maybe you’ll find your next holiday tradition! Whenever movies or TV shows are created that are based on specific time periods, and certain artistic licenses are taken, myths can be created and perpetuated for many years. This may be one reason why the medieval era is rife with popularly believed myths. At PearsonsRenaissanceShoppe.com, we love the medieval period, as evidenced by our detailed medieval costumes, so whenever we hear one of these myths, we just have to speak up and clarify. As we conclude our short series on medieval myths, we hope that we have inspired you to learn more about this fascinating period in our history! The common image of knights is one of nobility, chivalry, and honor. While they were certainly these three things, knights were also young soldiers who were warriors at heart. At the beginning of the 11th century, as lords fought over land, knights would often show up to the small villages and massacre everyone. To try to stop the violence, the Pope at the time sent many knights to the Middle East as part of the First Crusade. This only created more violence. Life in the medieval period was hard, unpleasant, and ultimately too short, right? That’s what most people think when they think of the medieval era. While the average life expectancy was 35 years, it’s important to remember that this was before vaccinations against childhood diseases were invented. Even though the image of a peasant doing back-breaking manual labor for an uncaring lord is common, it isn’t completely accurate. Peasants generally worked about 8 hours a day with generous breaks and naps (naps!). They also had Sundays off, long Christmas and Easter holidays, and days off for saint feast days. That doesn’t sound too bad, huh?